You will learn the essential actions and movements to safely get into your Trapeze, discuss tips and tricks for greater success, so you feel confident, while helping your body understand the mechanics and benefits of hanging upside down. Using the Trapeze, you get the benefits of both normal yoga and inversion therapy. The combination of exercises is literally endless. More benefits of the Trapeze are that you can decompress your spine and relieve pressure on those delicate disks between your vertebrae, increasing blood flow, oxygen to your brain and other vital organs while detoxing your lymphatic system. 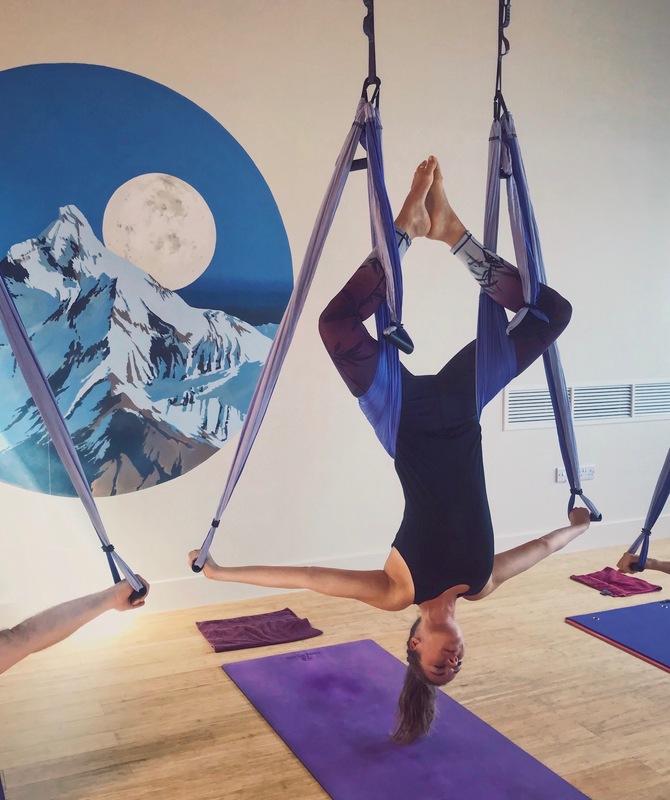 Beyond the health benefits, the inversion Trapeze also assists you in deeper positions such as back bends, helping build a strong core and elongating your muscles at the same time. We will end this workshop with an amazing Cocoon Gong Meditation led by the wonderful Scania Price. The Yoga Trapeze can be used by both beginner and advanced yogis alike. This will also count as a YogaAlliance 3 hours CPD for those teachers among us! To book on please contact me as only a few spaces left.